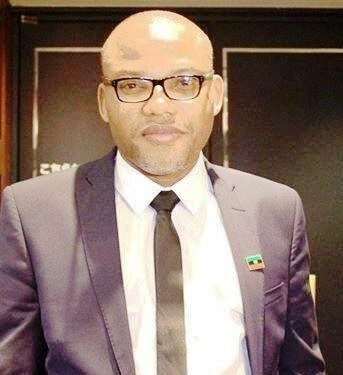 Nnamdi Kanu, leader of the secessionist group Indigenous People of Biafra (IPOB) has gone into hiding following the declaration by the Nigerian Army that the group is a terrorist organization. Both Kanu, and other top leaders of the group, have according to Punch gone into hiding since the declaration. “We have to apply wisdom to whatever we are doing. We have realised that there is a grand conspiracy against Kanu and other top leaders of our group. Just imagine barely few hours after the Nigerian military declared members of IPOB and other pro-Biafran groups as terrorists, our own governors came up with their own outright ban of our activities. This definitely will give the soldiers and other security agencies the opportunity to arrest our leader and mount a deadly clampdown on all IPOB members. So, it is better to operate from a hideout for now. IPOB also condemned the South-East Governors for its ban, saying they are disloyal. The group said its demonstrations have been peaceful, and the ban proves that the governors are at the forefront of the plan to eliminate its leader Nnamdi Kanu. “We want to find out how the governors who do not know the foundations of IPOB, would make such a statement when they know that IPOB had staged 297 peaceful protests and rallies both at home and in Diaspora without a single record of violence or crime. With the record on ground, IPOB under Mazi Nnamdi Kanu, is one of the most peaceful organised freedom fighting group in the world today. It is dangerous that the governors who are the chief security officers of their respective states in the zone would decide to hand over their people to the enemies who were out to kill, maim and destroy because of their selfish reasons. We are also aware that late Chief Emeka Odumegwu Ojukwu and General Philip Effiong protected their people during the first pogrom and ethnic cleansing from 1966 to 1970. These governors and their collaborators are in the forefront to eliminate our leader, Mazi Nnamdi Kanu and other peaceful members of IPOB. It is on record that IPOB activities are peaceful since the inception and nobody can prove where and how IPOB activities became violent over night. The solders brought in to eliminate or murder our leader and IPOB members, including the innocent civilians across Biafra land, are still going from house to house picking anyone suspected to be IPOB or seen with any Biafra insignia. IPOB under Kanu must remain a nonviolent group in the pursuit for Biafra freedom, despite the high handedness meted against IPOB members and our leader.